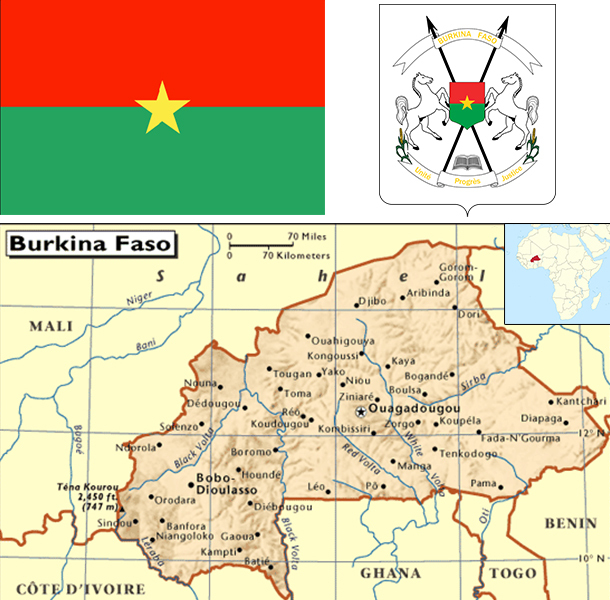 Burkina Faso (formerly Upper Volta) achieved independence from France in 1960. Repeated military coups during the 1970s and 1980s were followed by multiparty elections in the early 1990s. Former President Blaise COMPAORE (1987-2014) resigned in late October 2014 following popular protests against his efforts to amend the Constitution's two-term presidential limit. By mid-November, a framework for an interim government was adopted under the terms of the National Transition Charter. An interim administration, led by President Michel KAFANDO and Prime Minister Yacouba Isaac ZIDA began organizing presidential and legislative elections planned for October 2015, but these have been postponed due to continuing political turmoil. Burkina Faso's high population growth and limited natural resources result in poor economic prospects for the majority of its citizens. Burkina Faso is a poor, landlocked country that depends on adequate rainfall. About 80% of the population is engaged in subsistence farming and cotton is the main cash crop. The country has few natural resources and a weak industrial base. Cotton and gold are Burkina Faso’s key exports and Burkina Faso’s economic growth and revenue depends on global prices for the two commodities. The Burkinabe economy experienced high levels of growth over the last few years and gold accounted for about three-quarters of the country’s total export revenues in 2013. The country has seen an upswing in gold exploration, production, and exports. Burkina Faso experienced a number of public protests over the high cost of living, corruption, and other socioeconomic issues in 2013 and the fall of the COMPAORE government in 2014 gave rise to laborers pushing for better pay and working conditions. A new three-year IMF program was approved in 2013 to focus on improving the quality of public investment and ensuring inclusive growth. Political insecurity in neighboring Mali, unreliable energy supplies, and poor transportation links pose long-term challenges.